The number of Russians who would vote for Vladimir Putin in presidential elections next year has increased since last month, a new poll shows. Putin announced last week he will run for reelection in a nationwide vote on March 18, 2018. He is widely expected to win a fourth term. In a new survey published Wednesday by the independent Levada Center, 61 percent of respondents said that they would vote for Putin. In a similar survey conducted in late November, that number was 54 percent. Nineteen percent of respondents said that they would definitely not vote in the March elections or doubted they would. Another 20 percent said they were undecided. 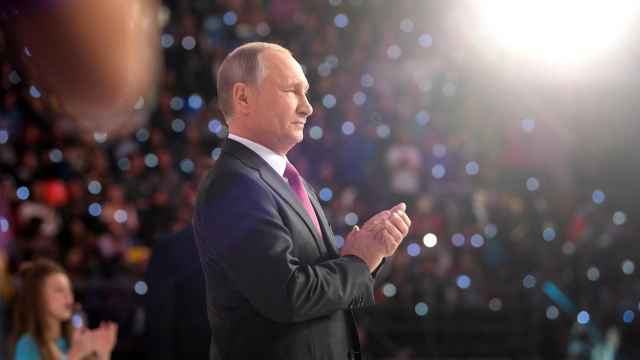 Out of the fifty-eight percent of those questioned who said they were definitely or probably going to cast a ballot in the upcoming election, 75 percent said that they would vote for Putin, compared to 59 percent last month. 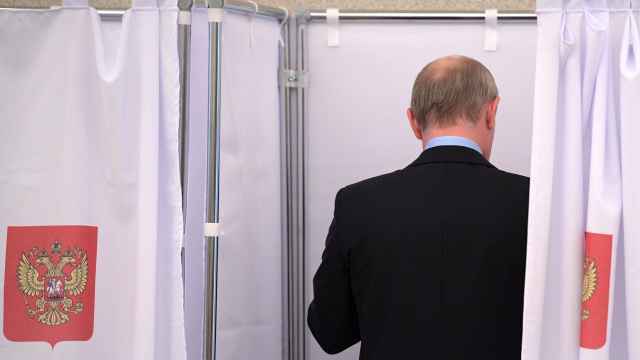 After Putin, most respondents said they would vote for Vladimir Zhirinovsky of the Liberal Democratic Party (LDPR) and Communist Party leader Gennady Zyuganov, with eight and six percent respectively. Only one percent of those questioned said that they would vote for Ksenia Sobchak, a tv celebrity turned opposition journalist. Opposition politician Alexei Navalny, who has been sidelined from the elections over a criminal conviction his supporters say is politically motivated, was not named as a possible candidate in the poll. 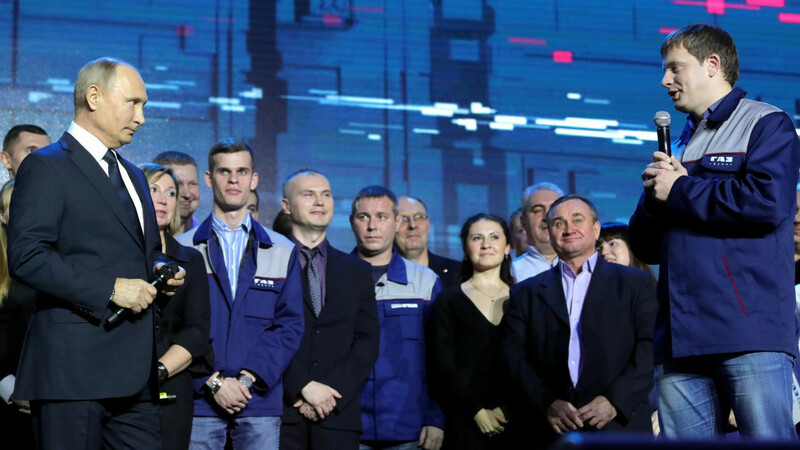 Levada conducted its survey among 1,600 people in 48 Russian regions between Dec. 1 and Dec. 5. 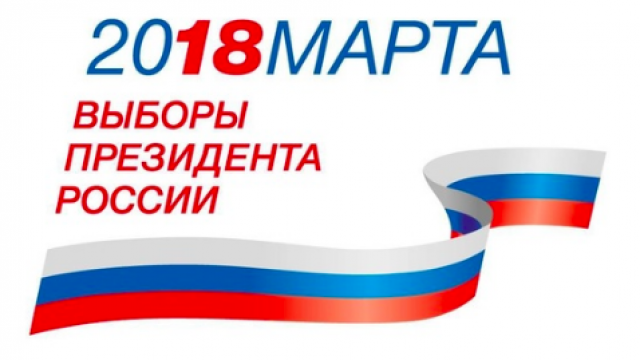 Have the Russian elections turned into something so abstract that they can only be expressed with a wavy ClipArt banner?